AUTHORITIES lauded American marine biologist Darrell Blatchley for his initiative to clean up some clogged canals in the city, but questioned the date of his post. Blatchley, on Wednesday, April 10, posted on his personal social media account photos of a clogged canal in Barangay 37-D in Bucana. A tarpaulin signage with the text “Bawal Maglabay Og Basura. Dakpan Multa: P10,000.00 Apil ang gikargahan” can be seen on his photo. Blatchley captioned his post with “SERIOUSLY Davao! Photo taken today April 10 2019. Bucana Trading Blvrd”. The post earned several likes and shares. He then posted pictures of himself and his staff, taking the initiative in cleaning the clogged canals filled with plastic trash. City Environment and Natural Resources Office (Cenro) officer-in-charge Marivic Reyes appreciated Blatchley’s effort, saying the marine biologist’s initiative would serve as an encouragement to the public in managing solid waste. “Dili kay gina-discourage tamo, gina-encourage tamo na dapat isulti sa kapwa ninyo nga dapat magpakabana gayud ‘tang tanan sa atong mga basura,” Reyes said. However, the Cenro head also wanted to know whether the photo that Blatchley posted was taken some time ago but was posted only on Wednesday since the garbage situation in the place should have been addressed by the barangay officials as it is part of their responsibility. 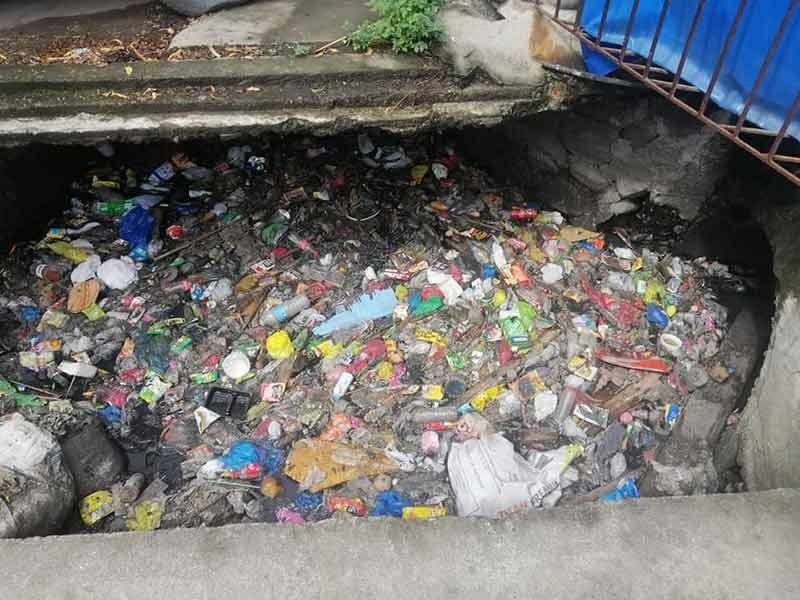 Barangay 37-D chief Prime Atillo also questioned the timing of the photo, saying the barangay has been addressing the garbage problem in her area. But she admitted that she cannot do it alone. “Ang basura man gud nga gatambak sa among mga canal nangaanod man gud na gikan sa San Pedro ug Roxas (Avenue),” she said. Atillo said that she felt bad that Blatchley’s post implied that the residents of Bucana are irresponsible and filthy. However, she said she thanked Blatchley for his initiative because his post caught the attention of the City Engineers Office (CEO). The barangay captain said they are planning to cover the open drainage, and will install closed-circuit television (CCTVs) cameras so that the residents will no longer throw garbage into the open canals. Blatchley said on Friday during the Bantay Dagat Volunteer’s General Assembly at the Almendras Gym his photos were posted on real time. He said that his posts, called “Challenge Accepted”, started when a netizen commented, “Challenge na yan”, challenging him to lead the cleanup. “One user commented on my post, saying that 'sige pa reklamo, ikaw nalang manlipyo'. So, sige. Challenge accepted. Kung walay laing manlimpyo, ako nalang,” he said. Blatchley, director of the D' Bone Museum, said that he feels embarrassed whenever he brings visitors to the museum since they have to pass by the canals which are filled with garbage. He said that since his post went viral, the city government, including the CEO of the City Canal Development (CCD) and the City Mayor’s Office offered to help him in the cleanup effort.